Dr. Keith L. Moore is an internationally recognized leader in the teaching of human anatomy and embryology. He has revolutionized the field of medicine for more than 60 years through his innovative research. His investigation in the causes of birth defects led to major advances in how physicians screen for and diagnose several genetic conditions. Dr. Moore is a professor emeritus in the Division of Anatomy within the Department of Surgery’s Faculty of Medicine, at the University of Toronto, Canada. He has contributed to numerous publications and texts, which include The Developing Human, in its ninth edition, and Before We are Born, which is in its eighth edition. [Professor Keith Moore is] the first recipient of the Henry Gray/Elsevier Distinguished Educator Award, AAA’s highest award for human anatomy education. The nominator said “Keith is an individual of nearly legendary status among anatomists around the world…He has had a monumental impact on anatomical education, not only at a national but also at an international level.” The Chair of the Award Committee who presented the award said “His books were like a breath of fresh air for faculty and students alike. Structures and developmental processes were no longer viewed in isolation from practical application, things to be memorized to exceedingly fine detail, but were presented within a clinical context— that became the famous blue boxes— and taught to a level of detail useful for clinical practice— His contribution to anatomy education around the world has been profound and continuous, and will be an enduring legacy. And most recently in 2012 Dr. Moore received the Queen’s Diamond Jubilee Medal – a commemorative medal to honour significant contributions and achievements by Canadians. 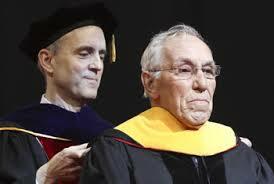 He was also awarded an Honorary Doctor of Science from The Ohio State University in recognition of his lifetime of achievements in the field of anatomy and on the advancement of medicine. March 2012: Dr. Keith L. Moore (Professor Emeritus of Surgery and former Chair of Anatomy of the University of Toronto) was awarded an Honorary Doctor of Science from The Ohio State University in recognition of his lifetime of achievements in the field of anatomy and on the advancement of medicine. Celebrated for more than 60 years of teaching, Dr. Moore has lectured across the world to faculties and students on topics including anatomy, embryology and genetics. There is an Islamic edition… it’s really an English edition of my book with Islamic additions. My publisher [Saunders] agreed to allow King Abdulazziz University to print this special edition but it cannot be sold because they don’t want it sold in competition to the regular English edition… You can’t purchase it as I understand it in a regular bookstore, but if you need it for your Muslim libraries you can purchase this. That was the arrangement that was made with my publisher. It has been a real pleasure for me to assist Sheikh Abdulmajeed Azzindani with the preparation of this Islamic Edition of my textbook of embryology. The text is the same as the original, except that numerous references to statements in the Qur’an and Sunnah about embryology have been added. The textbook is the same as the original, retaining the same ISBN number, except that references to statements in the Qur’an and Hadith (Sunnah) were added. For the past three years, I have worked with the Embryology Committee of King Abdulaziz University in Jeddah, Saudi Arabia, helping them interpret the many statements in the Qur’an and Sunnah referring to human reproduction and prenatal development. At first I was astonished by the accuracy of the statements that were recorded in the 7th century AD, before the science of embryology was established. The Embryology Committee presented and published several papers with Moore and others co-authoring a number of papers. In the comparative study, each Qur’anic verse and text of the Hadith were thoroughly researched in Qur’anic Interpretations, the most reliable books of Hadith and more than five Classical Arabic language references for the meanings of the words. The interpretations were then discussed with a number of contemporary Muslims scholars. Furthermore, interviews and discussions were also held with a number of internationally eminent embryologists, obstetricians and gynaecologists. This was the Committee’s means of ascertaining the religious as well as the scientific aspects of the study. Dr. [E. Marshall] Johnson is one of the most outstanding embryologist and teratologist in the United States. We didn’t just pick anyone, I picked the best. And in Canada, Dr. [TVN] Persaud at the University of Manitoba, where I spent twenty years, is also an outstanding embryologist who has three doctors degrees… so I picked the very best. And then, when I started thinking about other embryologists around the world, we brought in Dr. [Robert] Edwards from Cambridge [world-renowned for his early work on in vitro fertilization]… so we invited him to Saudi Arabia and again he was asked the same questions and they [the Embryology Committee] got essentially the same answers.… [and] one of my colleagues in Kyoto, Japan.…he didn’t go to Saudi Arabia, [and] he has been consulted and so on. So we have consulted embryologists around the world for their opinions on these statements in the Qur’an, and it’s clear from what Dr. Persaud has said and from all of our work in this area that these statements are correct. The study of the Qur’an and Hadith has revealed a new system for the classification of the stages of the developing embryo based on easily understood actions and changes in shape. In a relatively few Qur’anic verses is contained a rather comprehensive description of human development. No such distinct and complete record of human development, such as classification, terminology, and description existed before the Qur’an. In most, if not all instances, this description antedates by many centuries the recording of the various stages of human embryonic and fetal development recorded in the traditional scientific literature. T.V.N Persaud M.D., Ph.D., D.Sc., FRCPath. (Lond). Never once [did] any of us [scientists]… and I in particular, when presented with one of the surahs or hadith have attempted to say whether this is correct or wrong, to prove that is so. I think to do so would be very arrogant on our part, very, very, arrogant. What we have done is we have looked at these statements when they were first presented to us at their face value and examined them, and think of them in terms of our limited knowledge of how things are as revealed by the progress of science. We have interpreted, we have examined but never have we once tried to prove that they are right or wrong, that would, as I said, that would be the limits of arrogance. The second point is, and I think that this is an extremely important point: we give an impression as if we meet with Islamic scholars or they meet with us, and this has happened on many occasions over the past few years, and it’s as if it’s an informal chat over a cup of coffee. But this has never been like that. In fact it is the most gruelling experience for anyone like ourselves. I go and meet and it [the meeting] goes on for days and nights until I don’t think we ever get to sleep until the early hours of the morning. Every hour is being used to dissect, analyse, to think… it becomes for someone not accustomed to that, a bit of a frustrating experience but I suppose this is how it is… [a] tiring experience not frustrating, [a] tiring experience. But the Islamic scholars are scholars, they understand more about these things, they can interpret, they can read the Qur’an, the Hadith and their interpretation and we only rely on that and never to prove or refute. To say the Qur’an is correct, that would be, as I said again, and I must state this, this would be the limits of arrogance to try to do a thing like that. All we’ve been doing is examining and thinking about it and we’re still doing that. There are those who would thus have us believe that Moore et al embarked on a three year project without once consulting specialists in linguistics, exegesis, embryology and the history of medicine. “Embryology in the Qur’an by Keith L. Moore (1990).” http://youtu.be/upa4BSH7ua4 (accessed 11 March 2012). Moore, Keith L. The Developing Human: Clinically Oriented Embryology. 3rd ed. Philadelphia: Saunders, 1982. ———. Highlights of Human Embryology in the Koran and Hadith in Arabization and Medical Education, pp. 51-58. Proceedings from the Seventh Saudi Medical Conference, King Faisal University, May 3-6, 1982. ———. A Scientist’s Interpretation of References to Embryology in the Qur’an. Journal of the Islamic Medical Association, 18, 15-16, 1986. Moore, Keith L., and Abdul-Majeed A. Zindani. The Developing Human with Islamic Additions. 3rd ed. Philadelphia: Saunders with Dar al-Qiblah for Islamic Literature, Jeddah, 1983, 1982. Muslim Students Association, Canada. “Embryology in the Qur’an with Drs. Persaud, Moore and Johnson (1988).” http://youtu.be/ZJRRhfk5xUI (accessed 11 March 2012). Persaud, T. V. N. Early History of Human Anatomy: From Antiquity to the Beginning of the Modern Era. Springfield, Ill., U.S.A.: Thomas, 1984. ———. A History of Anatomy: The Post-Vesalian Era. Springfield, Ill.: Charles C Thomas Publisher, 1997. “Elsevier Authors: Keith L. Moore” http://elsevierauthors.com/keithmoore/ (accessed 25 January 2013). Keith L. Moore, MSc, PhD, FIAC, FRSM, FAAA, Professor Emeritus, Division of Anatomy, Department of Surgery, Faculty of Medicine, University of Toronto, Toronto, Ontario, Canada; Former Professor and Head, Department of Anatomy, University of Manitoba, Winnipeg, Manitoba, Canada; Former Professor and Chairman, Department of Anatomy and Cell Biology, University of Toronto, Toronto, Ontario, Canada. Keith L. Moore, The Developing Human : Clinically Oriented Embryology, 3rd ed. (Philadelphia: Saunders, 1982). “Embryology in the Qur’an by Keith L. Moore (1990),” http://youtu.be/upa4BSH7ua4?t=1h10m24s (accessed 11 March 2012). 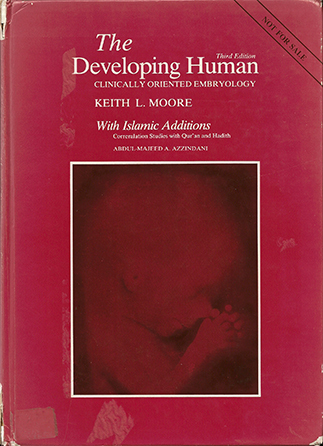 Keith L. Moore and Abdul-Majeed A. Zindani, The Developing Human with Islamic Additions, 3rd ed. (Philadelphia: Saunders with Dar al-Qiblah for Islamic Literature, Jeddah, 1983, 1982). page viii insert c.
 “As a classically trained anatomist and dedicated teacher, I have taught anatomy and embryology for 60 years and have traveled around the world (Australia, Brazil, China, Costa Rica, Ecuador, Egypt, Great Britain, Japan, Mexico, Russia, Saudi Arabia, South Africa and Turkey) to give anatomy and embryology lectures on the clinical correlates of anatomy and embryology.” http://www.anatomy.org/content/keith-l-moore (accessed 5 January 2014). Moore’s collaboration with the Embryology Committee spanned an entire decade. See “Embryology in the Qur’an by Keith L. Moore (1990)”, http://youtu.be/upa4BSH7ua4 (accessed 11 March 2012). Muslim Students Association, “Embryology in the Qur’an with Drs. Persaud, Moore and Johnson (1988)”, http://youtu.be/ZJRRhfk5xUI?t=37m32s (accessed 11 March 2012). T. V. N. Persaud is currently Professor Emeritus and Former Head, Department of Human Anatomy and Cell Science; Professor of Pediatrics and Child Health; Associate Professor of Obstetrics, Gynecology, and Reproductive Sciences, Faculty of Medicine, University of Manitoba, Winnipeg, Manitoba, Canada; Professor of Anatomy and Embryology, St. George’s University, Grenada, West Indies. Academic awards and honours: Carveth Scientific Award of the Canadian Association of Pathologists, 1974. Rh-Institute Award (Health Sciences) of the University of Manitoba for “outstanding contributions to scholarship and research”, 1975. Dr. & Mrs. H.H. Saunderson Award for Excellence in Teaching, University of Manitoba, 1985. The J.C.B. Grant Award, Canadian Association of Anatomists, 1991. Honorary Senior Stick, Faculty of Medicine, University of Manitoba, 1998-99. Queen Elizabeth II Golden Jubilee Medal, Government of Canada, 2003.”For significant contribution to the nation, the community and fellow Canadians”. Honored Member, American Association of Clinical Anatomists, 2008. Fellow, American Association of Anatomists, 2010. 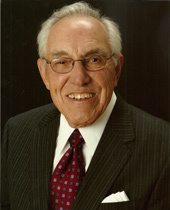 Henry Gray/Elsevier Distinguished Educator Award, American Association of Anatomists, 2010. http://umanitoba.ca/faculties/medicine/units/anatomy/1618.html (accessed 25 January 2013). T. V. N. Persaud, Early History of Human Anatomy: from Antiquity to the Beginning of the Modern Era (Springfield, Ill., U.S.A.: Thomas, 1984). A History of Anatomy: The Post-Vesalian Era (Springfield, Ill.: Charles C Thomas Publisher, 1997). Muslim Students Association, “Embryology in the Qur’an with Drs. Persaud, Moore and Johnson (1988)”, http://youtu.be/ZJRRhfk5xUI?t=1h3m20s (accessed 11 March 2012). There are also those who have intimated that Moore was ignorant of or did not give any authorisation to the edition with Islamic addendums being published. This paper proves conclusively that nothing could be farther from the truth. Keep up the great work; it’s about time that this topic was dealt with systematically, methodically and evidentially. Jazakh Allah for your comments. Please do watch the videos listed at the end of the post! This is nothing but propaganda.. what a laugh.. the koran is a book created by humans.. nothing else. Ok, could you please tell me if the writer of quran had a microscope to describe these phases of human development ?